Do Healthcare Changes Mean You Will Lose Medicaid? Changes to the Affordable Care Act have made headlines across the nation. With both political parties and media pundits weighing in, it can be challenging to determine the actual impacts New York residents may experience. Medicaid planning plays a significant role in protecting assets if you or a loved one require nursing home care, so it is important to understand these potential changes and how they may affect you. After more than a year of fierce debates over the future of universal health insurance, the U.S. House of Representatives met on May 3, 2017 and narrowly passed legislation to repeal the Affordable Care Act and replace it with the American Health Care Act. While House republicans celebrated, claiming the Act was required to save a failing system and would result in lower premiums, House democrats were up in arms, warning that if it was approved by Congress and passed into law, it would result in millions of people, including those on Medicaid, losing their coverage. Governor Cuomo came out in fierce opposition to the bill in a statement published on the New York State website, claiming it would ‘devastate the state’s healthcare system’ and advising all Americans to call their state representatives and urge them to vote against the bill. 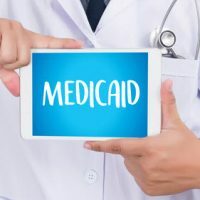 At the same time, government leaders in other states praised the bill’s passing, claiming that while it would reduce Medicaid spending, concerns over lost benefits were exaggerated. The AHCA would not strip Medicaid benefits from those currently covered, but would leave it up to individual states to decide how much they are willing to spend. Under the Affordable Care Act, states could expand Medicaid coverage and the costs would be matched by the federal government at a rate of 90 percent. The AHCA still gives states this option, but reduces the federal match rate to the pre-ACA rate of 57 percent. Those who enrolled under the ACA can be ‘grandfathered’ into the new plan, and states can still benefit from the 90 percent federal match rate, provided these individuals maintain coverage. While the ACHA has not yet been passed into law, there is little doubt that we should be prepared for some sweeping changes to the current Medicaid system. To discuss whether these changes are likely to impact you or those you love, contact the offices of Cavallo & Cavallo today. With offices in the Bronx and New Rochelle, we can assist you in making the plans necessary to help ensure both your health and your assets remain protected.